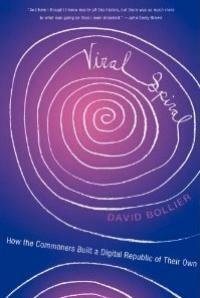 The commons in its broadest sense is a system of stewardship of shared resources. A commons is not run by government or businesses; the goal is not to maximize production or profit. 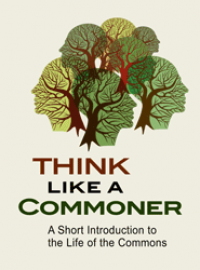 A commons is a defined community of commoners who act as a conscientious trustee of given resources. They ensure that the land or water or fish is shared equitably among those who need it for their everyday needs. They may do this via a direct delegation of authority, but, more typically, they self-organize to manage a resource and carry on that tradition for long periods of time, even for generations. And generally they do so with community participation, a rough democratic consensus, and with respect for one another as well as for the resources they administer. What’s notable about a commons is that it is generally independent of the Market and State, and functions with a large degree of autonomy. A commons may consist of pastoralists in semi-arid regions of Africa managing wild game; lobstermen in the coastal coves of Maine; communal landholders in Ethiopia; rubber tappers in the Amazon; or fishers in the Philippines. Each commons is run its own particular way, but the common goal is for the people themselves to negotiate cooperative schemes to manage their shared resources for non-market purposes. 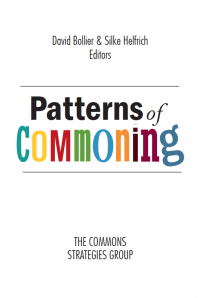 In recent years the commons has attracted a great deal of attention, particularly with the rise of countless commons of information and creativity on the Internet, such as open source software, Wikipedia, social networking and open access scholarly publishing. These are obvious different types of resources – intangible software code or electronic blips – but the stewardship of these resources amounts to a commons because they involve a group of people coming together, outside of business or government, to manage resources for the benefit of their members. 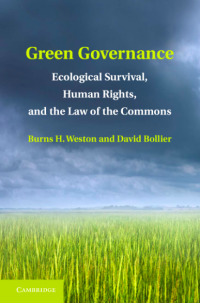 The "Tragedy of the Commons"
Despite the long and robust history of the ecological commons, dating back to the Magna Carta, Justinian Rome, and beyond, modern economics has largely dismissed it as an archaic curiosity. Much of the neglect can be traced to an influential essay, “The Tragedy of the Commons,” a parable about the inevitable collapse of any shared resource that biologist Garrett Hardin published in the journal Science in 1968. The tragedy narrative implied that only a regime of private property rights and markets could solve the tragedy of the Commons. If people had private ownership rights, they would be motivated to protect their grazing lands. But Hardin was not describing a commons. He described a scenario in which there were no boundaries to the grazing land, no rules for managing it, and no community of users. That is not a commons; it is an open-access regime or free-for-all. A commons has boundaries, rules, social norms, and sanctions against “free riders.” A commons requires that there be a community willing to act as a steward of a resource. the story as a useful way to affirm their ideas that private property rights and markets are the best way to manage shared resources. Happily, contemporary social science scholarship has done much to rescue the Commons from the memory hole to which it was consigned by mainstream economics. The late Nobel laureate Elinor Ostrom of Indiana University was the most prominent academic to rebut Hardin and, over time, to rescue the Commons as a highly attractive governance paradigm. Sometimes working with political scientist Vincent Ostrom, her husband, Elinor Ostrom studied the institutional systems for governing CPRs – “common pool” (or collective) resources over which no one has private property rights or exclusive control, such as fisheries, grazing lands, and groundwater, all of which are certainly vulnerable to a “tragedy of a commons” outcome. The central question of Ostrom’s work was, in her words, “how a group of principals who are in an interdependent situation can organize and govern themselves to obtain continuing joint benefits when all face temptations to free-ride, shirk, or otherwise act opportunistically.” Her most penetrating answers came in her path-breaking 1990 book, Governing the Commons, which described how many resource-users can and do develop shared understandings and social norms – and even formal legal rules – that enable them to manage common-pool resources sustainably over the long term. Some commons, for example – such as the communities of Swiss villagers who manage high mountain meadows in the Alps and the Spaniards who developed huerta irrigation institutions – have flourished for hundreds of years, even in periods of drought or crisis. A commons must have clearly defined boundaries of membership and of the resource, for example. 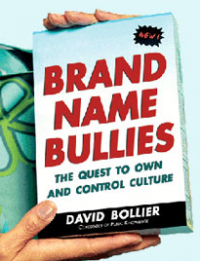 People must be able to develop their own rules for managing the resource, for another. They must be able to devise systems to monitor how people use the resource and identify and punish people who violate the rules. 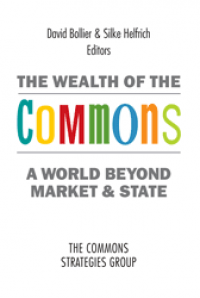 While many people regard the commons as a relic of history, they are in fact very much alive. You can see them in acequias, a community institution of rights and responsibilities used by Hispanic-Americans in New Mexico, to manage irrigation water in that very arid region. Community forests, urban agriculture, indigenous hunting and farming practices, land trusts – these commons all seek to work with nature over the long term, not simply to rip-and-run to sell as much in the marketplace as possible. The International Association for the Study of the Commons has estimated that two billion people around the world depend upon commons of forests, fisheries, farmland, irrigation water, wild game and other natural resources for their everyday needs. But these commons are generally ignored because economists generally do not regard subsistence provisioning for household use as interesting. For them, market exchange and capital accumulation are presumed to be the only meaningful ways to create “wealth” – defined as something that can be monetized and transferred elsewhere. Two leading introductory economics textbooks – by Samuelson & Nordhaus and Stiglitz & Walsh – ignore the Commons entirely. Much more could be said about the commons. But what is especially notable is the rise of a large, diversified global movement of commoners who see the commons as a way to defend their shared inheritance from the depredation of the State/Market. That is the subject of our next essay, the burgeoning global commons movement. Thank you David and Burns for an insightful passage. I particularly enjoyed your treatment of Hardin's "tradegy of the commons." It seems that Mr. Hardin's and even many of today's philisophers' and thinkers' framing of human relationships is too often reduced to interactions among rational utility maximizers who require state- or market-produced regulation to control selfishness, greed, and exploitation. Indeed, without these outside interventions, humanity would simply implode. Yet, as you rightly point out, people are more than capable of governing the commons and "do so with community participation, a rough democratic consensus, and with respect for one another as well as for the resources they administer." Recent research suggests that western cultures are increasingly framing human and ecological relationships in social image-, prestige-, and wealth-oriented ways. And that consistently referring to our relationships with one another and with nature in these ways makes it increasingly difficult to consider these relationships in terms of helping, caring for, and appreciating. To what extent do our dominating ways of framing relationships (i.e., largely in economic terms) explain the persistence of the "tradegy of the commons" type myths (and in some cases, realities)?